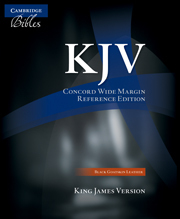 The Revised Standard Version is a comprehensive revision of the 1611 King James Version of 1611 and its successors, the Revised Version and American Standard Version. 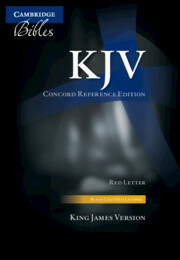 It is a scholarly and accurate translation, highly regarded as a reliable text for academic use, as well as lending itself well to public reading and private devotions. 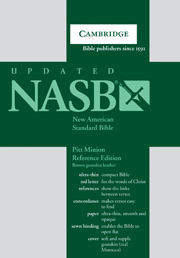 It does not aim for the latest contemporary idiom: rather, it seeks to preserve all that is best in the English Bible as it has been known and used through the centuries. 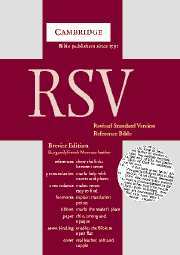 Despite the plethora of new Bible translations over the last twenty years, the RSV remains popular and is often asked for. This edition is bound in French Morocco leather and comes in a gift slipcase. The Bible text is complemented by cross-references, translators' notes and pronunciation marks for names and places. 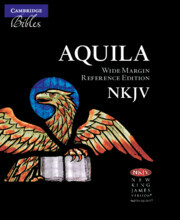 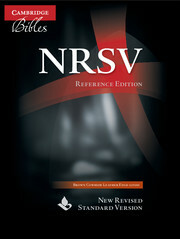 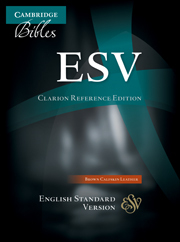 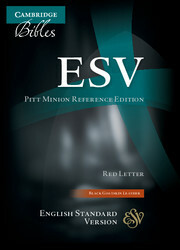 It is the only leather RSV reference Bible available in the UK (other than our own Study Edition, 0 521 51151).